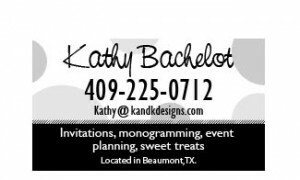 Thank you for choosing K & K Designs for all of your event needs. If you have any questions please contact us at 409-835-8959. Also, please feel free to browse out facebook page for more inspiration, ideas and giveaways! 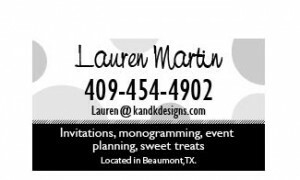 i would like to order some invitations cards. what should i do? Give us a call at 409-225-0712 and we will get the ball rolling.